Southern Loggin’ Times’ April issue spotlights the partnership between Tommy Brown’s Linton Land & Timber and Middle Georgia—a partnership that is built on trust and fair play. 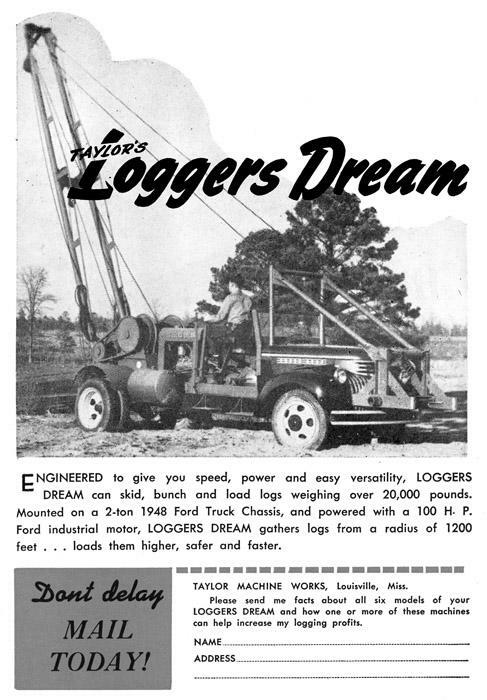 Joe Lang Logging, a small-town Atlanta, La. 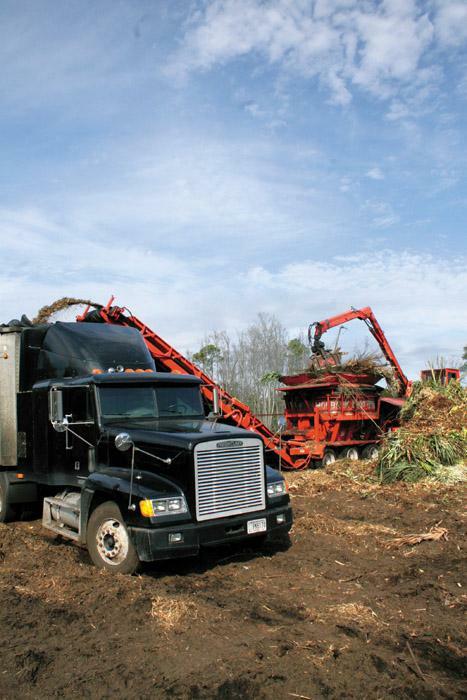 operation whose owner stays optimistic about the future of his business, and Evergreen Wood Recycling, a Savannah, Ga. grinding operation whose ability to adapt to changing markets has helped it survive. 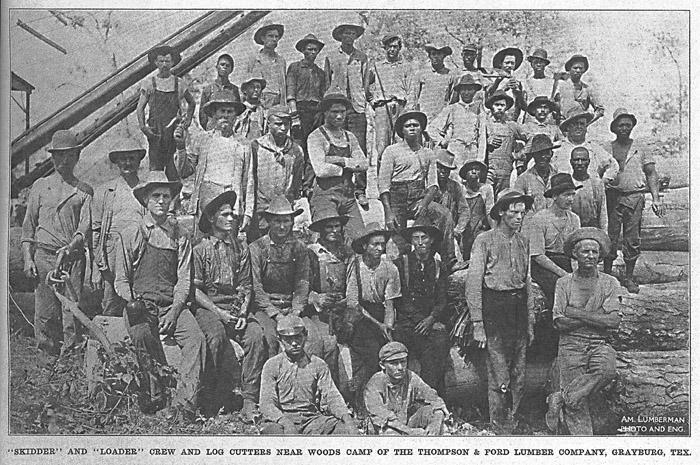 Read the second installment of Nameless Towns: Texas Sawmill Communities, 1880-1942. Joe Lang is a lemons-to-lemonade kind of guy, a grandfather of three who thinks the next five years will bring good things to his church, his family and his 20-year-old logging operation. He admits his optimism may be a bit unusual considering the timber industry and the nation it serves are riding out one of the worst economic recessions in more than three generations. 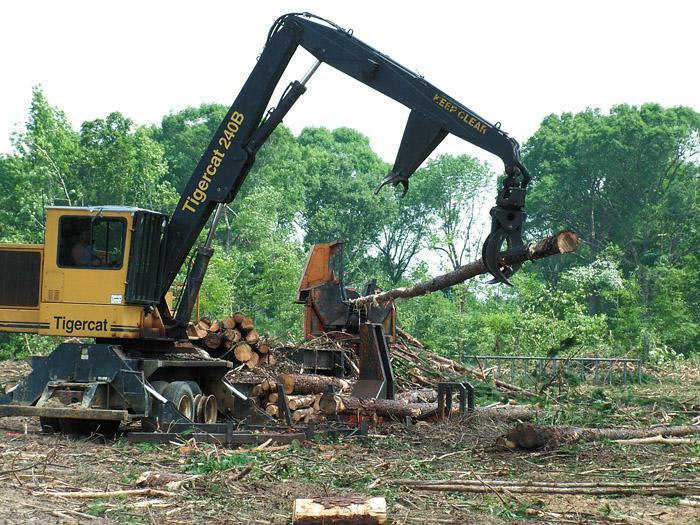 One constant in Evergreen Wood Recycling, Inc., is that it’s constantly changing. 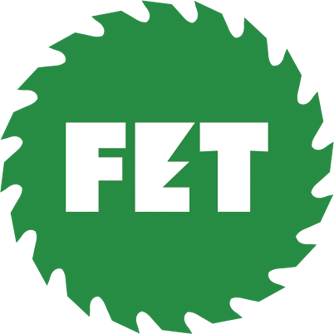 At various points in its 20-year history, the grinding operation has been: a logging outfit, contract grinding service, provider of pulpwood for paper mills, biomass supplier and a recycling yard operator. In fact, it’s Evergreen’s ability to adapt to changing markets and conditions that have helped it survive where others have failed. By 1880, improvements in sawmill technology necessitated railway delivery systems to feed the increasingly voracious saws. Big Allis 60-inch and 72-inch circular saws were the early standard, capable of making short work of the largest logs, and during the 1800s steam log-carriage machinery appeared, along with the first single-cutting band saws, continuous blades rotating on eight- or nine-foot wheels. 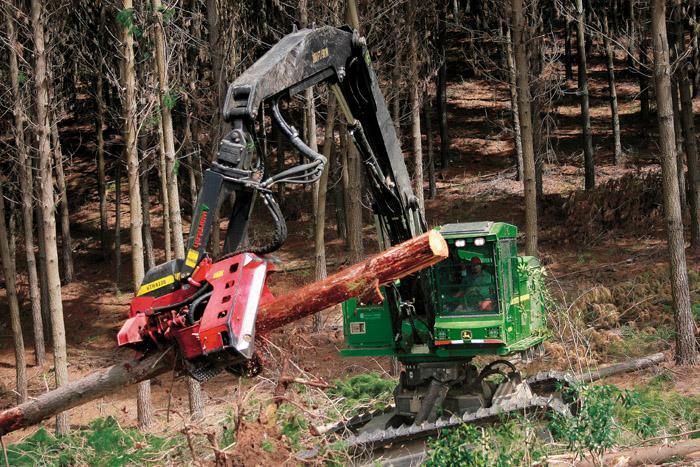 Like many businesses, timber-related or not, SLT’s parent company in January trimmed personnel and slashed other expenses in an effort to stay ahead of the hounds. One of those released by Hatton-Brown Publishers was Tonya Cooner-Vots, who wrote this column for several years. Tonya did a commendable job in this space and otherwise carried the H-B flag with honor. We wish her and the other H-B departed the very best. There is generally a high level of anxiety when a notice of audit is received in the mail, and a fairly comprehensive list of items must be prepared in advance for the auditors to review. It seems that no matter how thorough we attempt to be, that a deficiency in the eyes of the field auditors will most certainly be found. John Deere’s 8/900JH-Series tracked harvesters offer an integrated hydraulic system, a dedicated harvester boom providing 52% more cutting swath, a factory-installed Waratah TimberRite measuring system and plug-and-play readiness to accept an array of Waratah heads.